After recovering from my Thanksgiving food coma, I managed to avoid the Black Friday mobs for the 32nd consecutive year. While the deals may be great, the risk of bodily harm is just too great of a risk and I have to be healthy in order to handle all of your South Florida estate planning, asset protection and probate needs? It is my contention that the “must have” gift for this holiday season is a Trust-based estate plan; which makes it even more surprising that I was the only person lined up outside my Plantation law office at 4 am on November 25th. Even if you aren’t shopping in Sky Mall, half the gifts you’ll give this year (and an even higher percentage of the gifts you’ll receive) will end up in the back of a closet, the bottom of a drawer or even re-gifted to someone that you aren’t too fond of. Instead of wasting thousands of dollars on an outdoor elliptical machine with your favorite meteorologist’s face on it, how about protecting your family with a Trust-based estate plan so that they can avoid probate and eliminate any estate tax? Already have your Florida estate plan in place? How about treating a friend or family member to a free consultation with me so that they can protect their loved ones? 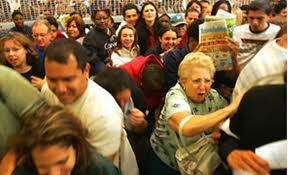 Any Casualties from Black Friday? We handle probate. Thoroughly review the terms of any existing Revocable Living Trust (“RLT”). Perform this perfunctory task whether or not an RLT was established while you were married. RLT Trustee and beneficiary designations are easy to alter. Amending the terms of other types of trusts is typically more complicated and usually results in the termination of any concurrent tax advantages. Consult a qualified Florida estate planning attorney for accurate advice and competent assistance with this post-divorce estate planning aspect. 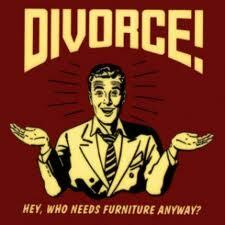 equitable distribution in any negotiated or court-ordered divorce settlement. As part of your overall insurance overhaul, look into the availability of alternative benefit payment options. For instance, structured payouts are a relatively recent invention that many insurers now offer. This allows smaller periodic payments for a long period of time to support dependents or facilitate college educations. Having the foresight to take such a responsible approach also eliminates the risk of immature or imprudent heirs squandering a single lump-sum payment. Estate planning after divorce might seem to be an unpleasant, arduous process. Do not make the potentially fatal mistake of letting emotion override practicality, however. Take prompt, proactive measures and visit your South Florida estate planning attorney to ensure the continued effectiveness of your existing estate plan. You cannot afford to leave you and your loved one’s long-term security to chance. Instead, bet on a sure thing with concrete strategies that preserve hard-earned assets. The realistic time frame required to fully complete the Florida probate process is a common question of natural concern to many. Following are the answers to some Frequently Asked Questions about the role that time plays in Sunshine State probate. Although the party whose assets and debts must be distributed and settled is gone, many complex legal and financial issues live on. Taxes, interest, and asset depreciation continue despite the demise of the debtor/owner. Thus, prompt settlement of all financial matters is vital to preserve assets and minimize liabilities. The total length of time required to conclude estate settlement varies widely. Total value and type of the decedent’s assets are primary determinants of the time factor. For instance, a deceased might have left behind a lot of real estate, antiques, or jewelry. As illiquid assets, such items must be appraised and fully accounted for prior to final sale or other distribution. This can add considerably to the total time required to complete probate. Conversely, An estate containing few assets or those that are easily liquidated (i.e. ; life insurance proceeds or bank accounts) close much faster. What other factors affect length of time to probate closure? Florida statutes require all estates to remain open at least three months after being formal admittance to probate court. This requirement is designed to afford creditors or other third parties an ample opportunity to file any adverse claims. Thus, even simple probate cases typically take at least 5-6 months to close. Final closure of taxable estates is prohibited until final IRS approval of Estate Tax Form 706. In addition, applicable laws allow the PR or probate attorney up to nine months after a decedent’s death to file this document. Probate closure can easily consume several years in cases involving complicated issues like will contests, very substantial assets, or numerous heirs and creditors. This is especially true if any such party(ies) should launch a legal appeal to any lower probate court ruling(s). What is the best way to expedite estate closure? The assistance of a qualified Florida probate attorney is the best means of ensuring expeditious estate closure. He or she has the specialized skill, experience, and legal knowledge to avoid many time-consuming complications. Having a trained ally to advocate for your interests also ensures that all your legal rights and interests are fully preserved and adequately protected. Surely we are all familiar with the old adage “Carpe Diem.” This popular Latin phrase translates into “seize the day,” “live life to the fullest,” or “live each day as if it were your last”. But what does it exactly mean to live the day as if it were your last? Tim McGraw probably best summed it up in his heart-felt hit song “Live Like You Were Dying.” He would go skydiving, rocky mountain climbing, ride 2.7 seconds on a bull named Fumanchu, love deeper, speak sweeter and give forgiveness he’d been denying. Most people however would not stop to consider what would happen to the people they would be leaving behind. In other words, how to reach out to their loved ones by making sure they are fully protected. The answer is: by visiting with your South Florida Estate Planning Attorney. It’s bad enough your family members will be in mourning and grieving your death after you are gone. The last thing you want to do is subject them to serious financial consequences because you didn’t get your estate in order. With the help of a caring and well-seasoned attorney, you will be able to best structure your assets while minimizing estate related taxes and protecting your loved ones from claims of third party creditors. There is a medley of estate planning tools that you can choose ranging from Trusts, Wills, Powers of Attorney to Health Care Surrogates. A qualified and well-experienced attorney will guide you through the process and equip you with these necessary tools so you can rest assure your family is well protected after you’ve finished living your life to the fullest. So the next time you are contemplating jumping out of an airplane, think about your family first. After all, you only get to die once…so seize it the right way. If I Make a Will, Does That Mean I Might Die? Similar questions run through people’s minds when they go to the doctor or dentist. If I go to the doctor, will he find a tumor and tell me I have cancer? Maybe if I just avoid the doctor all together that will never happen. Right? Wrong! Many people have the same thought process when it comes to visiting their attorney for estate planning. Such irrational reasoning has even more dire consequences in the future. With today’s sophisticated technology, routine checkups and preventative healthcare measures are critical for preventing what could be a medical tragedy. Likewise, with today’s legal tools, adequate estate planning from a qualified South Florida estate-planning attorney is critical in preventing a financial tragedy. By doing the following you will avoid some commonly made mistakes. 1) Get your will drafted. This is not just for wealthy individuals. In fact, proper asset preservation is critical for those of modest means. There is nothing better than knowing your family will be protected against high estate taxes and administrative costs. 2) Don’t Procrastinate. Just like cancer can strike at any time so can death’s knock at your door. If you leave this world without a will, Florida law dictates the distribution of your assets and your wishes are gone with the wind. 3) Be wary of joint tenancies. With this strategy you are making a prospective heir a joint property owner. This approach can turn sour when for example, your married adult child gets divorced and his or her estranged spouse will be able to claim a portion of your retirement nest egg. If your favorite niece has a business that becomes insolvent, creditors can wipe out your entire life savings. Get your South Florida estate in place today to avoid such dire consequences from inaction! Time is never on our side.